Twitter is a great way to connect with readers. It’s easier to learn than other social media, takes less time and gives you more control. Here are ten tips on how to make the most of it. Every tweet is a sample of your writing. If your tweets are interesting, people will follow you because they want to read your tweets – and they’ll buy your books because they want to read more by you. Do your tweets entertain, excite, stimulate, amuse? Then you’ve won. 2. Post as few promos as possible. Promotional tweets “Buy my book! #mustread #bookplugs unputdownable download here” are boring. Readers are deluged with tweets of that type and simply tune them out. If readers don’t pay attention to your tweets, then the tweets are pointless. And if your tweets bore or annoy, they won’t motivate readers to read a whole book by you. Of course you can post promotions for your book (“My new book is published today” and such) – but sparingly. Post more chatty, informative and entertaining tweets than promotional ones. Bear in mind that people will pay attention to your promotional tweets only after you’ve hooked them with interesting ones. Can you tell a story in 140 characters? That’s a challenge – but you’re a writer, you can do this. Other businesses hire writers to create tweet-length ‘stories’ for them to post in the social media. You can do it yourself. Once your mind is attuned to this, you’ll get lots of ideas all the time. (tweeted by @Eleanestelle )There’s something really satisfying about hoovering away two year’s worth of dust from under your bed. (tweeted by @caroljhedges) Hate to BRAG, but I can still fit into the earrings I wore in my 20s. Talk especially about subjects related to your books – not the books themselves. For example, if you write cosy mystery novels featuring a cat sleuth in Italy, then chat about Italy, crimes and cats. If you write historical werewolf romances set in Scotland, then it’s a good idea to chat about matters related to Scotland, werewolves, wolves, paranormal matters and love. People who are interested in these topics are potential readers for your books. 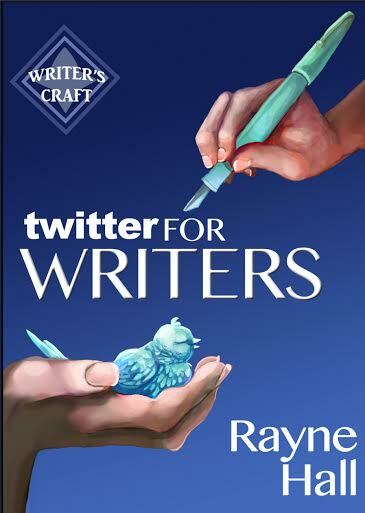 Captivate their interest with your tweets, and they’ll check out your books before long. You can draw the attention of people interested in specific topics by using hashtags for the keywords. Taking the example of historical werewolf romances set in Scotland, you might hashtag words like #Scotland, #Scottish, #bagpipes, #tartan, #kilt, #sporran, #werewolf, #wolves, #Highlands, #Lowlands, #castle, #claymore, #RobertBurns, #Edinburgh, #Glasgow. People searching for those words will be delighted to find genuine tweets (not promos) and will probably follow you so they can read more of your tweets. When people respond, draw them into discussions. People who’ve read and liked one of your books are the most important part of your author platform. They’re potential readers for your next book, and they may also bring about that elusive wonder tool of marketing, word of mouth. Cherish these people! On Twitter, you can gather them into a “List” – make it a private one. If you’ve created a list, view it often, and respond. People love it when one of their favourite authors takes the time to read their tweets and interact with them. 8. Choose Whom to Follow. When deciding whom to follow or follow back, select people who are interested in the same subjects as you, because this allows interesting chats. Following and chatting with other writers is good – but you need to connect with potential readers. Look for people whose profile texts reveal an interest in the subjects you write about. For example, if your novels are about Italian felines, follow people whose profile text mentions cats and Italy. And of course, follow people whose profile says “bookworm” “love to read” or “addicted to books”. 9. Retweet what interests your readers. When choosing what to retweet, consider what your followers want to see on Twitter. If you write feline Italian mysteries, you may want to retweet news about a serial killer in Rome and pictures of cute cats. If you write historical werewolf novels set in Scotland, it’s worth retweeting werewolf lore and archaeological discoveries in Edinburgh. But don’t retweet a lot of promos. It’s fine to occasionally retweet a promo tweet for a writer friend – but only if the book is of interest to your readers (same genre) and of high standard. Don’t be one of the idiots who RT indiscriminately, filling their stream with a hundred promo retweets every day. Those are a sure way to get yourself ignored and to drive readers away. 10. Know the difference between a genuine platform and empty numbers. Don’t kid yourself you have a platform if it’s automated accounts. Only people who read your tweets at least sometimes are a platform – but most accounts are just automated, which means they won’t read your tweets. 100 genuine followers who interact with you are worth more than 100,000 automated accounts. You can ignore all the popularity-measuring apps because they only measure numbers and are so easy to manipulate that they’re meaningless. You can also ignore retweets and favourites as indicators of popularity, because they are often automated as well, with nobody actually reading the tweets. The only real measure of popularity is how many genuine replies you get to your tweets. *The connection between readers and authors is stronger, more direct, and more important than it has ever been. It creates interest and loyalty, and in the long run, helps sell books. The trick is to focus not on pushing books, but on attracting readers. Readers – those who’ve already read your books and those who will read them in the future – are your platform. Are you using Twitter? Do you have any tips to share? Any questions about these tips? Just ask. I look forward to hearing from you. 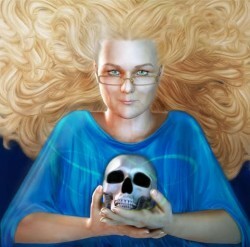 Rayne Hall has published more than fifty books in several languages under several pen names with several publishers in several genres, mostly fantasy, horror and non-fiction. She is the author of the bestselling Writer’s Craft series (Writing Fight Scenes, Writing Scary Scenes, Writing About Villains, Writing About Magic and more) and editor of the Ten Tales short story anthologies. Having lived in Germany, China, Mongolia and Nepal, she has now settled in a small dilapidated town of former Victorian grandeur on the south coast of England where she enjoys reading, gardening and long walks along the seashore. She shares her home with a black cat adopted from the cat shelter. Sulu likes to lie on the desk and snuggle into Rayne’s arms when she’s writing. 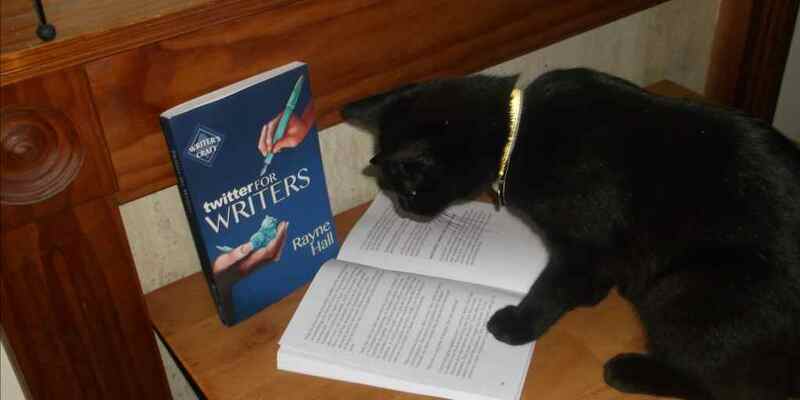 To see her books on Amazon, go to viewAuthor.at/RayneHall . This was really helpful, thabks! I’m glad you found it helpful. We are always looking to put out content that authors find helpful here on TWP!